I hope we can soon discover how to detect if it's on or off; that will enable more cool possibilities. So I added the IP address of my horizon in Homey (I tested the IP in my browser to make sure the login page of the Horizon is opened)...Created a simple flow and used the test button, but nothing happens. It does show a green check icon, but my Horizon isn't responding to the command. So my Homey is (ofcourse) connected through Wifi to my router and my Horizon is connected with an ethernet cable to my router, this should not be any problem right? the remote in the official Ziggo app is working so there should be an open internet connection between the router and the Horizon. So what am I doing wrong here... ? That's really hard to tell. Currently the "Send key" card should work and it should show the green mark only if the command was correct, but I'm not completely sure if that works the way I intended it This first version is more of a "wow this seems to work well"-version, I am going to put some more time into it soon. 1- If you are logged into the same Wifi network, can you ping both Homey and the Horizon box? 2- If you install the Horizon app via the developer tools, can you show me the logs of when you execute the test flow? There are no "secret" settings in this app that you should mask in the logs, but ofcourse you can also send the logs in a private message. Part 2 is a bit hard if this is your first time running an app via the developer tools. Some more is explained via https://developers.athom.com/ - it requires you to install Node and NPM, then install the athom-cli tools via commandline and then you can download the app from https://github.com/jordenc/tv.horizon.ziggo and run it. Hm thanks, I will try to run de dev tools and see what logs I get. It is my first time running the dev tools, but that shouldn't be a problem... It was your first time once to ;-p I will try to get it al working and post the logs. Had the same here first to. Green check but the wrong IP. First filled in 192.168.192.1 but that was the router. Then tried 192.168.192.2 and bingo! So I have the Logs :-) But it looks like the IP is incorrect or the IP can't be accessed which was kinda obvious... But I don't understand why it's not working. @iceking if you restart the app after it crashed, does it work? I am doing something wrong with the initial "setup" of the device which I need to fix soon. Does it work with the other ziggo mediabox too? Installed the app and it is not working. For as far as I know, only with the Horizon mediabox. @jorden Hm interesting, I will try and let you know. 0.1.3 is pushed to the appstore for approval. It fixes the crash on the first "command" you execute after pairing. I will update the first post as soon as the new update gets published. @jorden : Thumbs up!!! Great Job so far! New version published to the app store! So I was testing your idea, and with some success. After restarting the app, it showed a green check and the logs says it succesfully added the IP address .... but unfortunately when triggering a flow the connection was refused ... I think the port 5900 is not opened by the Horizon or something. @keverjeroen That completely depends on your network setup. I use a separate router, Horizon does not do routing for me but is just a client in the network. You can do that in the settings but ofcourse you'll need another device that will do routing. 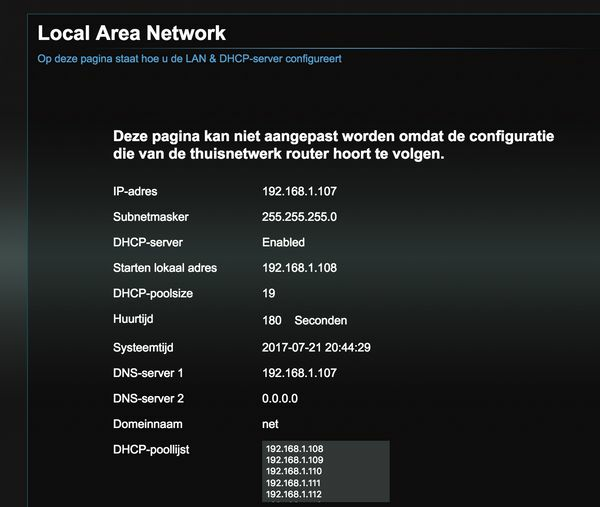 @jorden , just wondering, I'm in the old Ziggo area and can't use the Horizon as a modem in the network. I understand you've got the same and set-up the unit as a client. Does ondemand still work? And the Netflix app? Jordan, I like this app, as it particularly helps to overcome my link with Harmony that only issues IR commands, Should I get this working as planne, I can now use the "Guide" button on Harmony, via Homey, to send the WIFI commands "guide" (now done via a series of button presses via the harmony app). However, not there yet. My Horizon box does not react to any command so far. I have a separate modem/router, so I changed the Horizon IP address to my local network. This works as I can now login to Horizon directly from my network. But via the Homey app I get no reaction. I thought possibly setting changes on the separate WIFI capability of the Horizon box could be related but this also did not make a difference. That's the one I am refering to. I see there are 2: one for IR commands and one by Jordan with WIFI commands. I don't use the Netflix app, but it works. Ondemand I do use and works as well. The only thing that changes is that it doesn't act as a bridge in your network, although it does for your "extra" Horizon mediaboxes (I have one extra in the bedroom). Can you ping both Homey and the Horizon box with your laptop if you are in the same network? You might also want to try to set the IP in the Homey-Horizon-app to one higher (+1) than the one you think it is... that has worked for some people. So if your Horizon is at 192.168.1.7, try 192.168.1.8 as the IP in Homey and try if that works. I can ping all of indeed both (192.168.1.24 is Homey and **.27 is Horizon). Interestingly the Horizon box created a lot of entries in my DHCP table. UPCGW-7822 is the one on **.27 and is online. Then there are 15 other hostnames: UPCGW-2200, UPCGW-2201 up to UPCGW-220E (I expected a UPCGW-220F, but is not there) and then a UPCGW-2242. The associated IP addresses are not in same order as other client have some of those addresses in use. I am not sure which one is most logical to pick. The Horizon box is off now and, with exception of the host UPCGW-7822 on IP **.27, all other associated hosts are offline as well. So it would not make sense if I test **.28 now knowing it is offline. I will see what happens if I test a power-toggle and some other buttons on alternative IPs, and will share my findings.